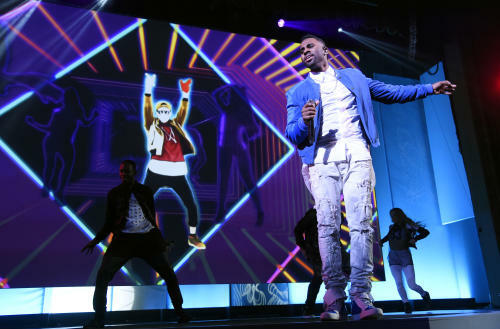 Though past E3 stage shows have had their fair share of notoriously uncomfortable moments (We’re looking at you, Wii Music), nothing in recent memory can claim to be quite as awkward as Jason Derulo’s surprise performance at Ubisoft’s 2015 conference. There to promote Just Dance 2016, the latest in the series and one set to feature his track, “Want to Want Me,” Derulo took to the stage in high spirits and even higher falsetto. Now, while not tremendous, I don’t think Derulo’s vocal performance was nearly as bad as many are making it out to be. The real issue simply comes down to why anyone thought a video game conference would the perfect place for a quick R&B number. I doubt there are any types of people less likely to engage in live music than a room full of journalists and gamers.